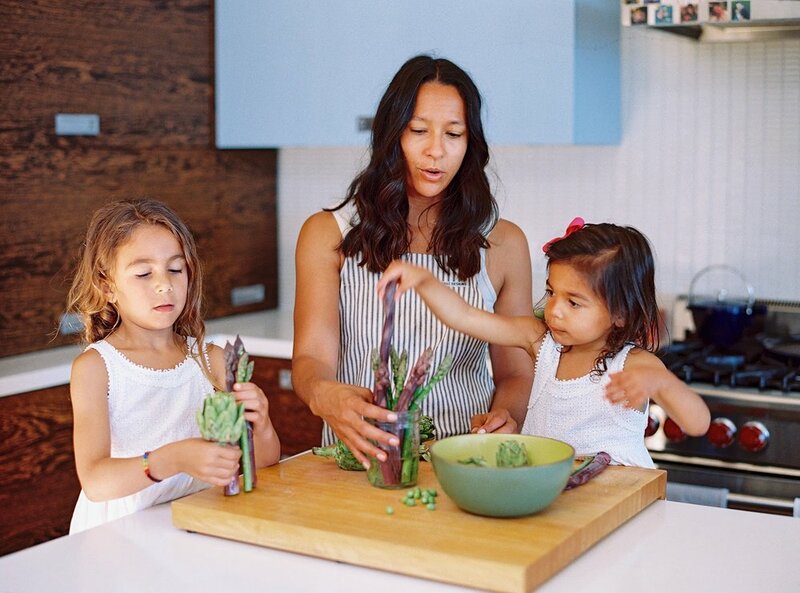 Motherhood Spotlight with Ashley Koch: Raising healthy eaters. What you can do without stressing. — Caroline Zwickson, M.A. 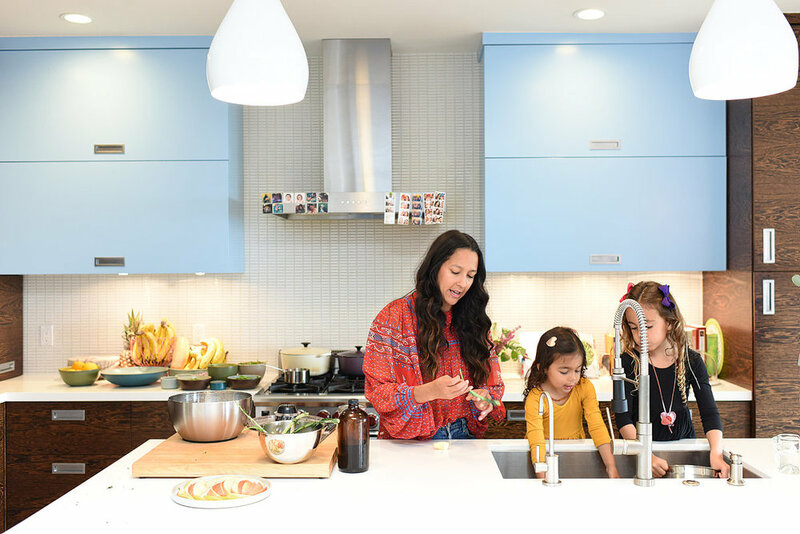 Motherhood Spotlight with Ashley Koch: Raising healthy eaters. What you can do without stressing. As you can imagine, when Felix rejects what I cook for him and goes on a food strike, it's hard for me not to get annoyed, frustrated, and worried that he's not getting enough healthy food. Such mama worries, I know. But my guess is that if you have a toddler, you've been there. My natural reaction to those situations is to try to talk Felix into finishing his plate, to have just one more bite, to play the airplane game and so forth... until I met Ashley Koch, today's superstar Motherhood Spotlight. Ashley is a new mama friend who I met here in San Francisco. We were introduced in a group of entrepreneur women who are focusing there businesses on taking care of mothers and families and I was so excited when she reached out to connect over juice and quinoa bowls (because that is clearly the way into my heart;)). When I met Ashley she shared what exactly my responsibilities as a parent are when it comes to feeding my kids healthy food and I cannot tell you how much her advice has come in handy over the last months. In her Motherhood Spotlight below Ashley tells you a few of her favorite tips to help parents raise healthy eaters. Thirteen years ago, I was the least likely person to be completing a master’s degree on the path to becoming a Family Nutritionist. I was a recent college graduate suffering from numerous chronic conditions that impaired my ability to enjoy life on a daily basis. My diet consisted of empty calories, chemicals, processed foods and endless amounts of sugar. I spent my free time visiting a litany of doctors, all of whom reviewed my symptoms, yet gave little consideration to—and little guidance on improving these conditions through—my lifestyle choices. After college I moved myself and my bag of prescription medications and over the counter remedies from Pittsburgh, PA to San Francisco, CA. My awakening began with the farmers markets of Northern California, cookbooks, and food blogs and continued in the alternative practitioners and integrative and functional medicine doctors offices. Making changes in my lifestyle allowed me to abandoned the small pharmacy I had created and enjoy life feeling truly healthy for the first time in as long as I can remember. Fast forward to motherhood, I now have two daughters (age 3.5 and 6 years old). My functional medicine pediatrician taught me how to use nutrition to support my own children’s health challenges. From there, I started helping friends find answers for their own children through food. My pediatrician and other local children’s practitioners reminded me that there was so much need for more individuals to do work to support children in the field of nutrition. Many families and children are struggling with preventable or reversible chronic diseases and health issues. It was time to be a part of the solution. I left my thriving career in fashion to go back to school and serve families and children. I was eager to share what I am learning with other parents while I continue my formal education, Vibrantly Healthy Kids was born. My goal is to support as many families in learning about the value of healthy choices and making eating whole foods as approachable as possible. Feeding kids healthy is easy…said no parent ever! Here are a few of my favorite tips to help parents raise healthy eaters. 1. Take care of yourself. Your children will follow. If we want our children to value their health, their minds and their bodies, it starts with the commitment we make to ourselves as parents. Our children are modeling the behaviors they see in us. If we hope to see our children eating their daily servings of vegetables, we must also eat vegetables throughout the day. Do we want our children to sit down at the dinner table and focus meals? Then we must find time to sit down at the table with them to eat. It is important we as parents model the healthy habits we hope to inspire in our children. 2. Accept responsibility for only your part of the job. You decide what, when and where children eat. They get to decide how much and if at all. If you focus on providing regularly scheduled meal times (breakfast, lunch, dinner, and snacks) that offer a variety of healthy foods and set expectations on where children eat these meals…you have done your part. Parents are the gatekeepers of what comes into their homes. If children are offered a variety of healthy carbohydrates (ex: vegetables, fruit, whole grains), good fat and protein without an abundance of distracting foods, they are incredibly capable of knowing how much of each of these foods to eat in order to grow without assistance. Our jobs as parents is to focus on providing healthy meals and snacks, and then to sit back and relax. Children should be able to decide if they will eat and how much they will eat. Remove the power struggles. If you have focused on your role, let them take ownership for theirs. Try to hold back the desire to encourage them to eat certain foods on their plate or counting the bites they take, research finds this is actually counterproductive. Avoid using sugary treats to convince children to eat healthy foods. This sends the message that sugary treats are the ultimate reward and better than the healthy foods that help their bodies grow. Let them decide what they will eat and how much they will eat with zero strings attached. Just enjoy the meal and quality time with your family. Children need to learn to listen to their own hunger signals and understand what it feels like to be full. Resist the urge to encourage one more bite, instead ask your child “is your belly full.” Teach them to understand their own hunger and satiation cues. Are you confused about what to eat? Paleo, vegan, pegan, eating clean, the keto diet, vegetarian and so many endless options. Here is the thing that all experts agree on, eat whole foods when possible. Whole food is defined as food that is been minimally processed and refined and does not include additives. This means that the foods are as close to the original source as possible. Rely heavily on whole, unprocessed foods to fuel your growing family. Eating the rainbow of vegetables and fruits will allow your children to access the anti-disease powers of a range of phytonutrients. 4. What you feed your children, influences what they like. Research confirms it takes 8-20 experiences for a child to enjoy and accept a new food. Parents are often on the hunt to find their children’s favorite food, but in reality each food your child experiences is developing their tastebuds. Consistent exposure of new foods will increase the likelihood your child will be willing to eat a variety of new foods. Offering variety leads to an increase acceptance of a wide range healthy foods. Avoid only preparing their favorite foods, as this will lead to your children building a short list of what they are willing to eat. A great way to increase variety, is to offer children their favorite foods prepared in a range of ways. Once they are willing to accept these foods, expand the variety of foods you offer your children. 5. Make time for family meals. One of the hardest parts about helping busy families make changes is asking parents to make time for cooking and eating together as a family. I know that this request can feel like an impossible undertaking for families often with parents who are working demanding full time jobs at times with less than desirable commutes. I make this request as someone who understands that time is not always on their side and so much is conspiring against us as parents. Yet if you decide this is important to you, I know so many full time working / commuting parents who found a way to fit this into their week. I also have seen children shift their relationship with healthy food when families find more time to sit down at the table together. If time is not on your side, consider making this a part of your weekend routine. Some parents rely on grocery delivery services or meal kit delivery services to reduce the challenges of making mealtime happen. 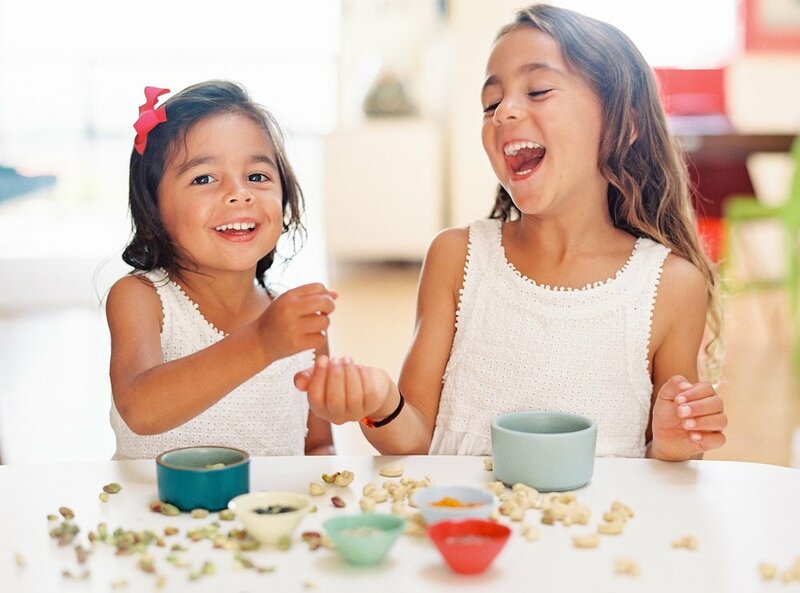 Family meals is a wonderful time to connect with children and model great eating habits. 6. Become familiar with your kitchen and invite your children to join in. Cooking is a powerful tool that can fuel great health and a wonderful skill to pass onto your children. Cooking and playing with food is an important experience that can lead to greater acceptance to a variety of foods. It isn’t always the quickest and cleanest way to get a meal on the table, but will increase the likelihood they will try the foods you are offering. Preparing foods with children helps them understand how food gets from the kitchen to the table, is a wonderful sensory activity and can strengthen fine motors skills. It can can also build confidence, give them a great sense of accomplishment, and allows them to learn skills that will last them a lifetime. There are endless ways toddlers, preschoolers and beyond can be helpful in the kitchen. Toddlers can be great at mixing, stirring, spooning ingredients into bowls, turning on the blender, and attempting to remove kale leaves from their stems. Find time to get into the kitchen and invite your child to participate. I am so grateful to have the chance to share my passion with all of you on your parenting journey. As someone who studies and lives this, I want to remind you that it is not always easy. Yet, I truly believe it is worth it. There are so many things I would love to share with you. For more tips and tricks on how to prevent or change picky eating, click here. To see my weekly inspiration for raising healthy kids, follow me here. For my favorite children’s books that can be incredible tools for raising healthy bodies and minds, click here. Visit us here for school lunch ideas. To connect with other parents sharing ideas on growing kids, visit here.